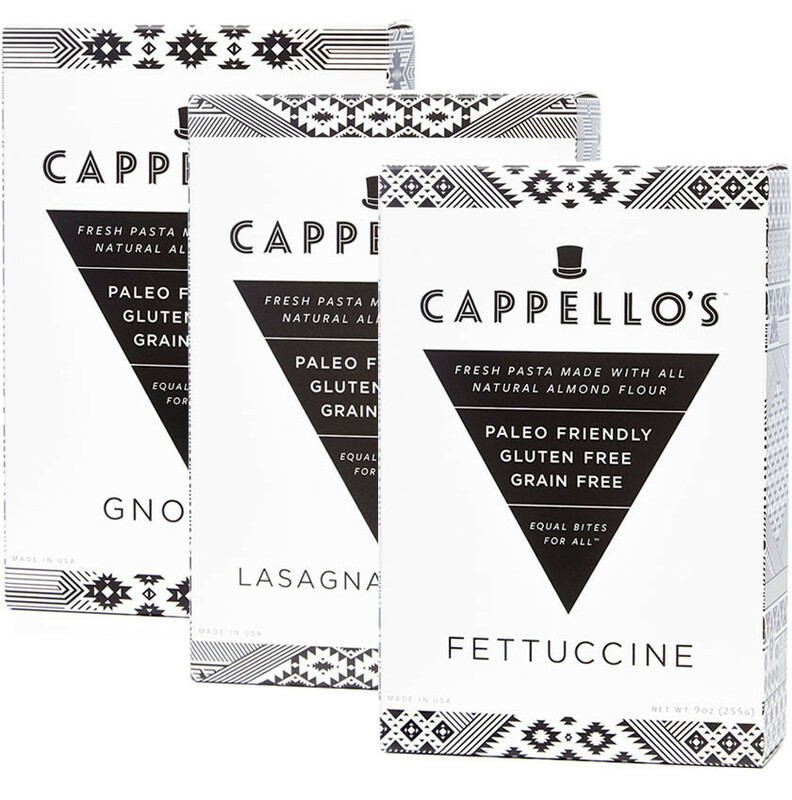 Cappello’s is a Colorado-based gourmet food company specializing in high-end gluten free, grain free products. Founded in 2011 by friends Stacey Marcellus and Benjamin Frohlichstein, the inspiration for Cappello’s was born out of Stacey and Ben’s desire to create a totally unique food company, to be the best at what they do, and to legitimize their penchant for asking strangers to taste their pasta. Cappello’s mission is simple: provide fresh, uniquely delicious options for gourmet food-lovers, healthy eaters and people with dietary restrictions. Mix-and-match combos of all of paleo-friendly pastas. Silky, buttery, and deliciously rich, our gluten-free, grain-free fettuccine is made primarily from almond flour and egg for a taste that’s unrivaled among traditional pasta. Our gourmet, gluten-free gnocchi is fresh, savory, and easy to prepare. Drawing on Argentinian tradition, this dish is made with light organic potato flakes, almond flour and egg. Cappello’s gluten-free, grain-free, gourmet lasagna sheets are nothing short of fabulous. Made with almond flour and egg, our lasagna offers a deeply rich flavor experience—with no pre-cooking required. All Cappello's products can and should be stored in the freezer. 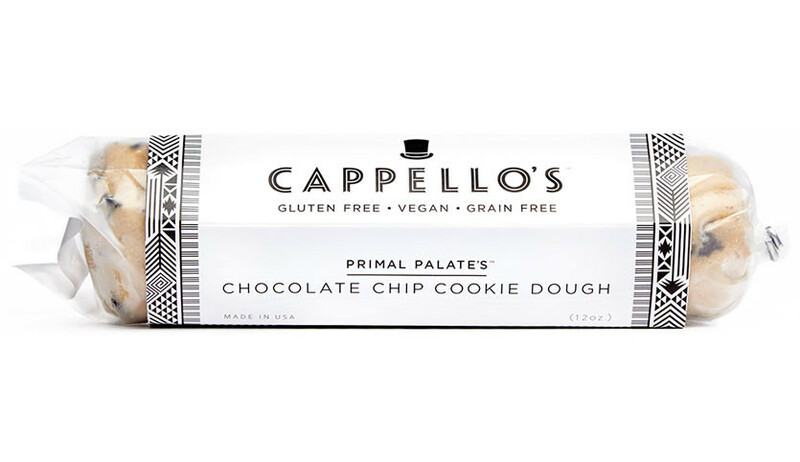 Cappello's has teamed up with author/blogger team Primal Palate to bring to you the world's finest gluten-free, grain-free, chocolate chip cookie dough. We've used the highest quality ingredients to craft this delicious, nutrient-dense, low-glycemic treat. This paleo-friendly cookie dough may invoke feelings of deep nostalgic bliss; savor it raw, mix it into ice cream or simply cut and bake. Each roll makes 13 cookies. Cappello's Pasta and Cookie Dough is amazingly delicious! I absolutely love the pasta and cookies. I was getting bored with our Italian dinner night but Cappello's Pasta and Cookie Dough really stepped up and made dinner delicious again. The pasta is salted just right and tastes wonderful. 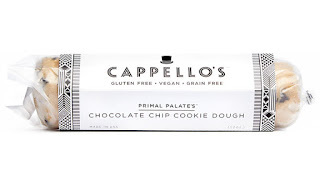 I also love that Cappello's Pasta and Cookie Dough is gluten-free. To be honest I wouldn't even have guessed that either one was because they both taste so good. Cappello's Cookie's are so good and make the perfect after dinner treat. You just have to try Cappello's Pasta and Cookie Dough because they're amazing! Click HERE to find a store near you that sells Cappello's! 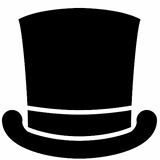 Click HERE to learn more about Cappello's! Follow Cappello's on social media!